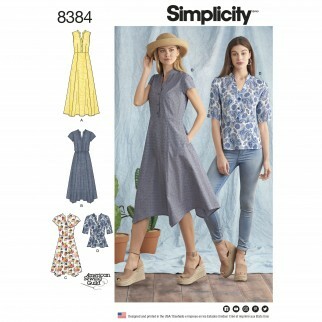 Shirt dress in a variety of lengths and hemlines plus cut line to make a top. All have collarless rounded neckline with 3 buttons at bodice front and can be made sleeveless or with short sleeves. Dress features a handkerchief hem in knee and midcalf lengths or a straight hemline to the ankle. Top features three quarter sleeves with small side slits. 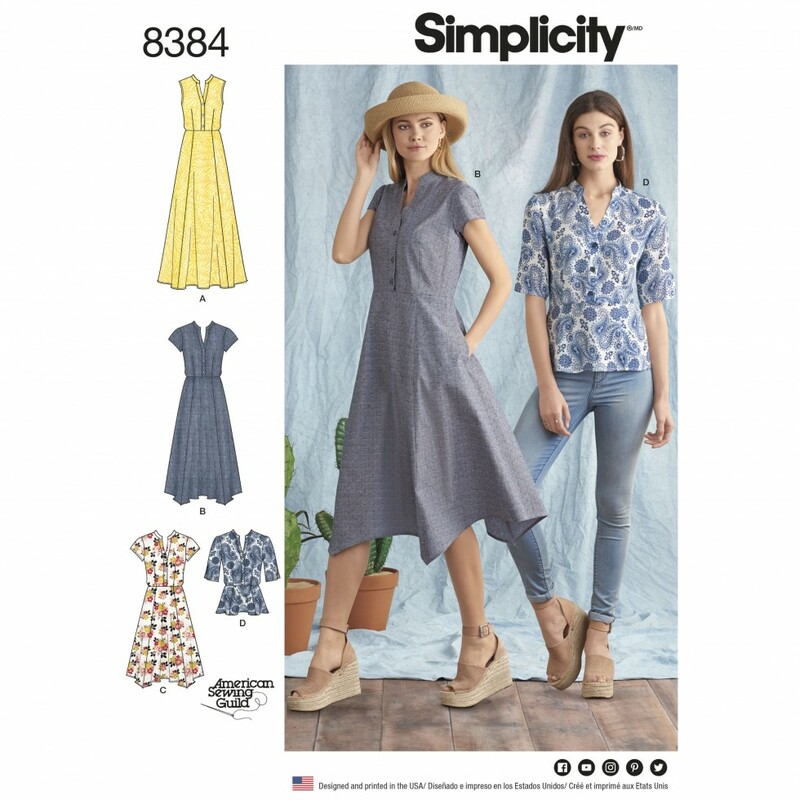 This Simplicity sewing pattern carries the American Sewing Guild logo in support of the guild.